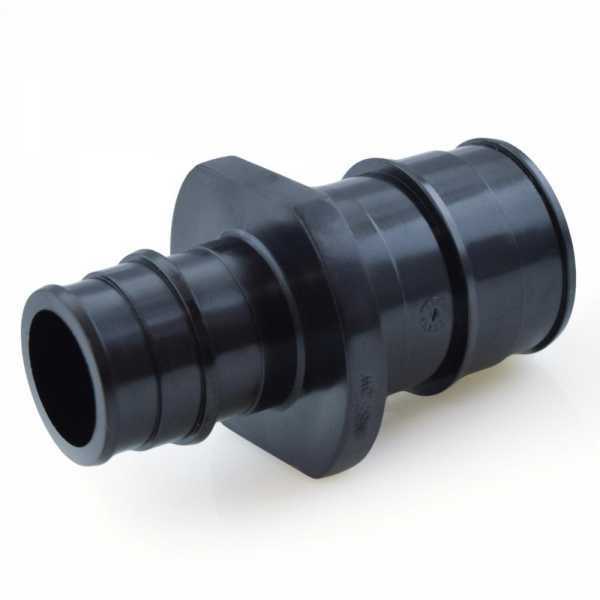 The PEF-C-43 from Everhot is a 1” x 3/4” PEX Expansion Coupling. This item securely connects PEX-A tubing in a straight line. Installed using expansion method (expansion tool and rings). 1” to 3/4” PEX-A expansion connections. Direct replacement for Uponor EP (poly) series, ProPEX style expansion fittings. Fully compatible with Uponor hePEX and AquaPEX series PEX-a tubing and ProPEX connection system. Meets ASTM F1960 & CSA B137.5 standards. NSF certified for US and Canada. Lead-free, approved for potable water applications. Superior performance in RO, chlorinated, and low-pH water.